The National Park Service will continue to allow off-road driving on the beaches at Cape Hatteras National Seashore, even though a federal judge noted that the popular practice was technically illegal. Because the park service has no formal plan governing the use of off-road vehicles; there use is prohibited. Perhaps it's best that the fools in Washington don't visit us often. They might realize that the only formalities required along the Outer Banks is just to peacefully co-exist, relax, and enjoy!! 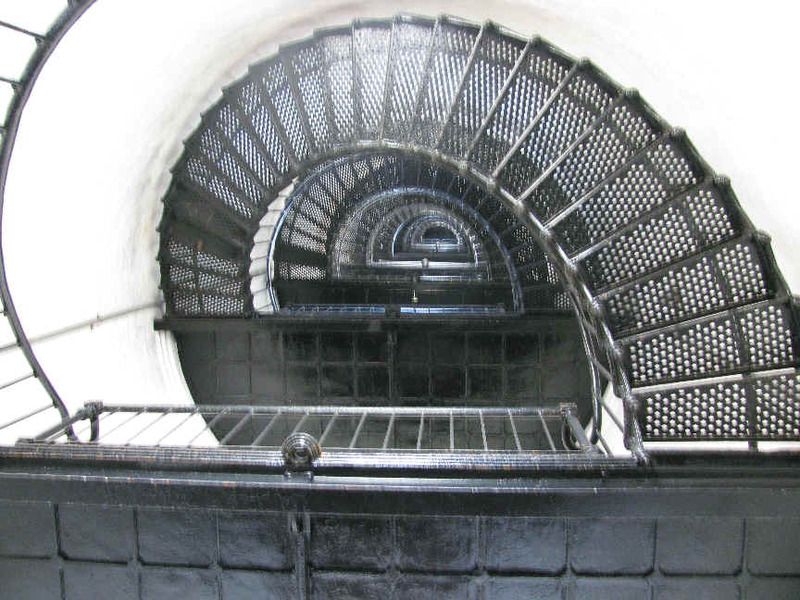 Seeing as how the NC Legislature couldn't commit funds to restore the Bodie Island Lighthouse project earlier, we are fortunate to have had it included in a Federal Public Works Project that will help restore the spiraling staircase, just as needed and as one of those "shovel ready" projects. 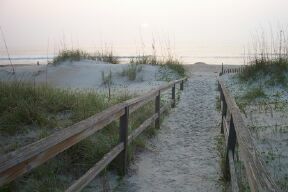 The North Carolina Coast is often defined by its serenity and beauty. However, one should not be fooled as we relax and recreate by the seashore. Mother nature has the potential to cast raging storms; each one capable of mass destruction. The North Carolina coast has been referred to as the Graveyard of the Atlantic. Literally thousands of ships and vessels have met their fate and rest upon the ocean floor. Yet, man has created a structure to help remain safe against the wrath of mother nature. The lighthouse. 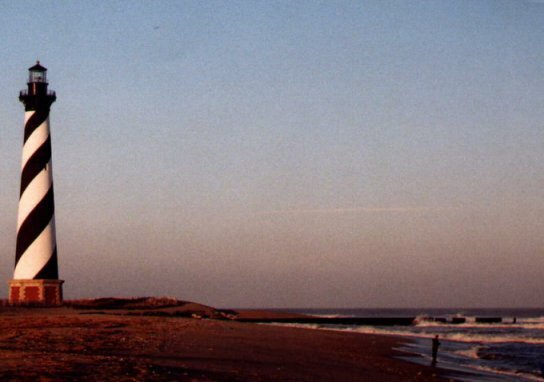 The Outer banks of North Carolina are home to a half dozen lighthouses. From Corolla in the north to Caswell Beach in the South, these structures have come to symbolize the beauty of North Carolina. 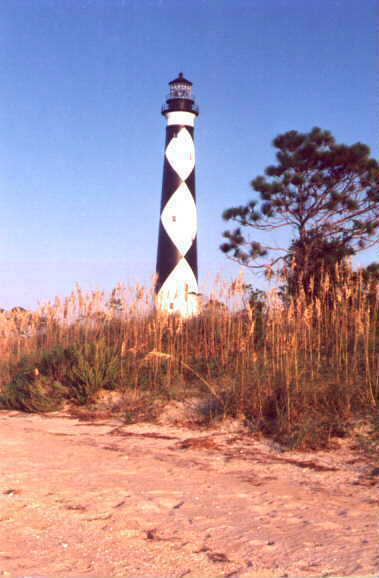 Cape Lookout Lighthouse on Core Banks Island, the southern portion of the Outer Banks can be reached only by boat. It was constructed in 1859, and nearly destroyed by retreating Confederates in 1861. 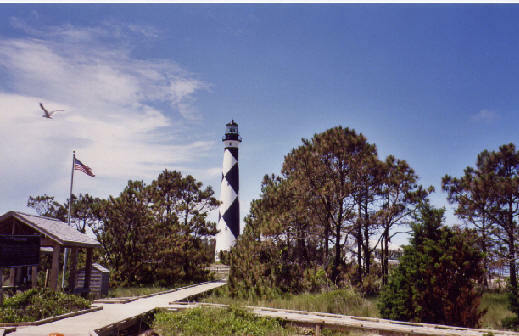 However, it's beacon is visible from the mainland near Beaufort, Morehead City and Harker's Island where tourists can charter a ferry to reach the island. For a current list of ferry services call the Cape Lookout National Seashore @ (252) 728-2250. Cape Hatteras lighthouse is infamous. It is America's tallest at 198 feet and one of the oldest in the world. The process to move the lighthouse further inland to protect it from the encroaching Atlantic was completed in 1999. The journey 3000 feet inland was capped off with the relighting ceremony on November 13, 1999. Be sure to visit our gift shop to purchase our classic collectible coffee mug. 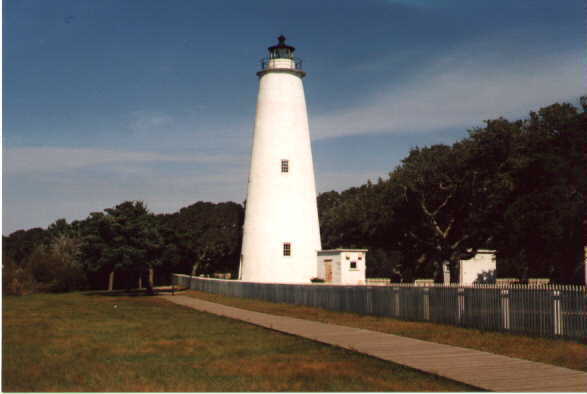 The Cape Hatteras Lighthouse is located in Buxton, 50 miles south of Nags Head on NC Hwy 12. A nearby campground allows you an opportunity to truly enjoy the atmosphere. ( Remember that the light will flash as it revolves every 7.5 seconds and is visible for over 20 miles) When you visit, be sure to climb the 257 steps to the top for one of the best views anywhere! The Outer Banks itself is a 130 mile strip island boasting activities galore. 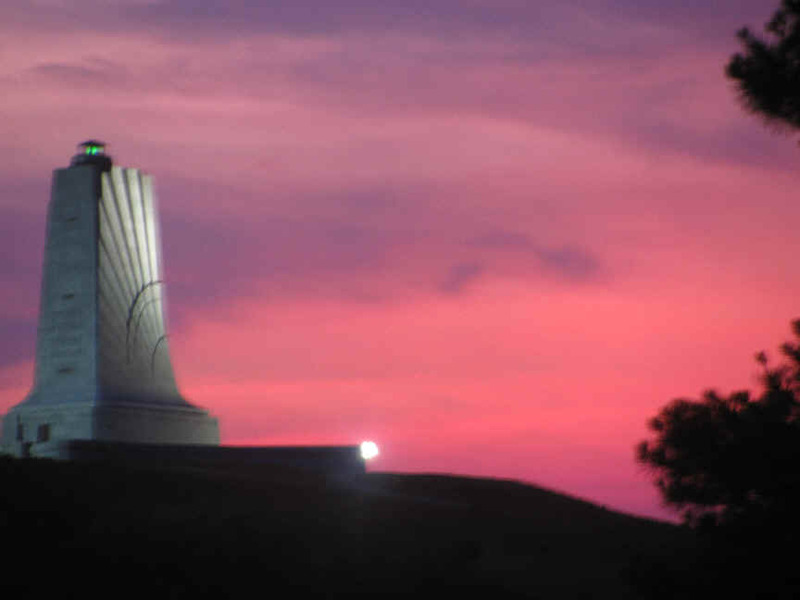 Visit the birthplace of aviation in Kill Devil Hills at the Wright Brothers Memorial. See for yourself and recreate that magical day of December 17, 1903 when Orville and Wilbur fulfilled their dreams of being the first men to fly!. Or, maybe you'd like to go hang gliding at Jockey's Ridge or just go fly a kite there! Either way, you will quickly see why it is our choice for one of NC's best places to view a sunset! Other points of interest include the quaint towns of Manteo and Ocracoke. If you just want to be a leisurely tourist and kick back it is happenin' right there! Depending on your destination, perhaps you may take the scenic route. Get lost along Hwy 17 somewhere between Wilmington and Elizabeth City, and low and behold, you will discover some hidden gems. Either New Bern, Little Washington or Historic Edenton are great places to just take a side trip to relax, picnic, or just sightsee. To the right you see Blackbeard Bear; one of the 50+ bears that are sponsored by New Bern area businesses all throughout the region. Argh!! Also, visit Jockey's Ridge State Park to see why it made #2 of our list of top Sunset vistas!! Are you a Civil War buff? Follow Hwy 421 S. from Wilmington through Carolina and Kure Beach to Ft. Fisher. Follow Hwy 70 East to Morehead City, and visit Ft. Macon near Atlantic Beach. Professional lifeguards say there is a way to survive rip currents. "You feel that current pulling you out, and the best thing to do is to try and just ride with it and just ease over to the side," advises Bill Soltz, who belongs to a professional lifeguard association. Although swimmers may be tempted to try to swim toward shore, Soltz and his colleagues say they should instead flow with the current even if it takes them farther away from the coast. The next step is to swim to the side of the current, which is parallel to the shore. In 20 to 30 seconds, the rip current will dissipate, and the swimmer can ride the waves back to the shore. courtesy: ABC News' Avni Patel and Simon Surowicz .